Welcome to Rolleston on Dove Parish Council – Page 2 – Aiming to promote pride in the local environment and enhance the quality of life for those living and working in our village. The Rolleston on Dove Neighbourhood plan has now been submitted to ESBC to start the Regulation 16 process. This process will see the plan not only reviewed by ESBC but also submitted to an independent assessor for formal review. This submission follows months of work by the Neighbourhood plan committee, building on the work of the previous committee plus the valuable feedback from the Parish, statutory bodies and our external consultants. A huge thank you to all those who contributed. The vacancies for the school crossing patrols in Rolleston and Tutbury have still not been filled. The following article in the Burton Mail recently highlighted the challenge and also provides details of who to contact if you are interested. Please find below links to the details of a Temporary Traffic Regulation Order for your information. Due to budget pressures the County Council is having to consider cuts across a number of services. School crossing patrols are one of the services that may be impacted and as such the Council would like to hear from as many as possible to help inform the decision. 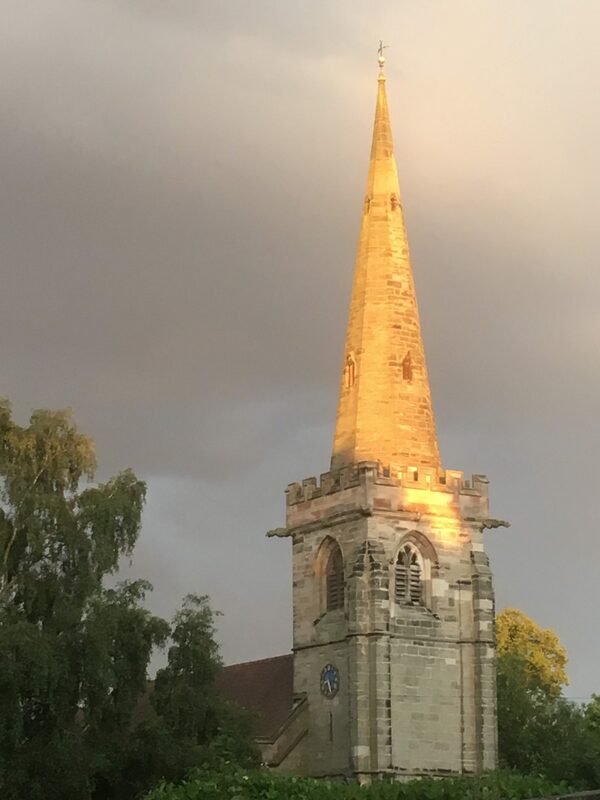 Why not pop along to St Mary’s Church to take a look at the stunning Advent display of 47 exhibits celebrating the theme – ‘Now the War is Over’. Below you will find images from around the village of some the wonderful tributes to the 100th anniversary of the end of the First World War. Children at John of Rolleston create a stunning poppy. One of the 27 from the village who didn’t return. Early stages of the cascade. Please take some time this weekend to visit the incredible cascade of poppies from the church along with the displays on Spread Eagle island and along Brookside. This marks the culmination of the ‘paint the village red’ campaign to honour those that gave the ultimate sacrifice as we mark the 100th anniversary of the end of the first world war. The Parish Council would like to thank the RoDSEC committee and all of the volunteers who have helped to make this so memorable.